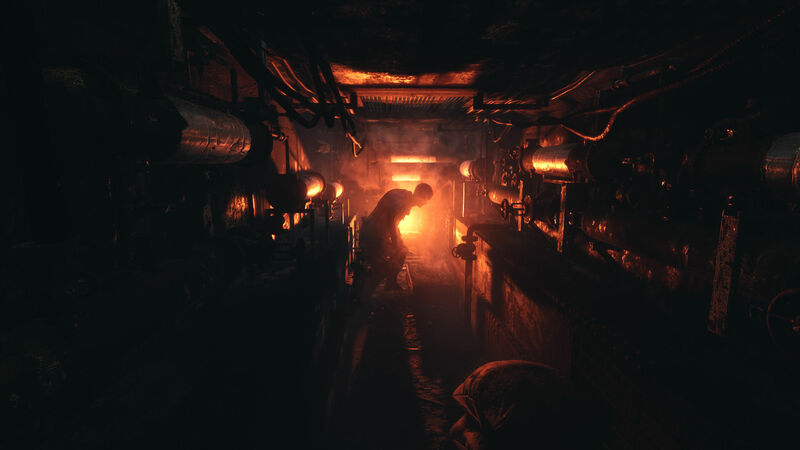 Like the chocolate fondant, the bane of budding Masterchef champions worldwide, Metro Exodus is a game that could have gone very wrong indeed. It’s not without issues and frequently messy, but the sheer swagger developer 4A Games shows in defying genre boundaries and accomplishing each of its occasionally disparate goals – in a way that just about works – is almost overwhelming. 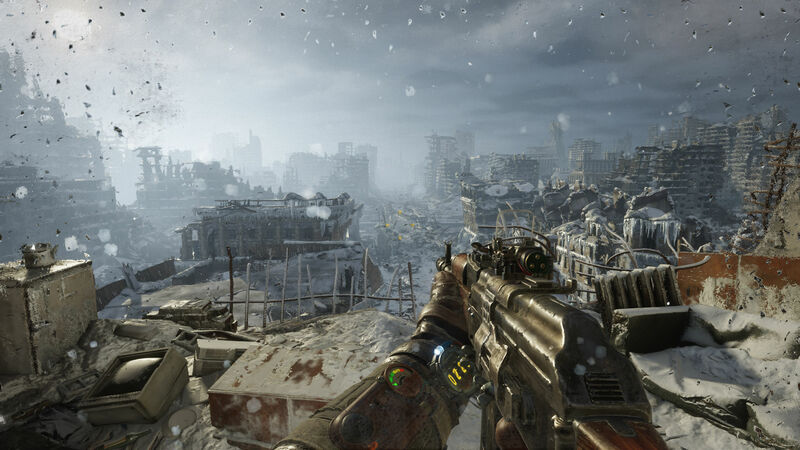 Metro Exodus is a crafting-focused survival game, a heartwarming character study, and an atmospheric horror title. 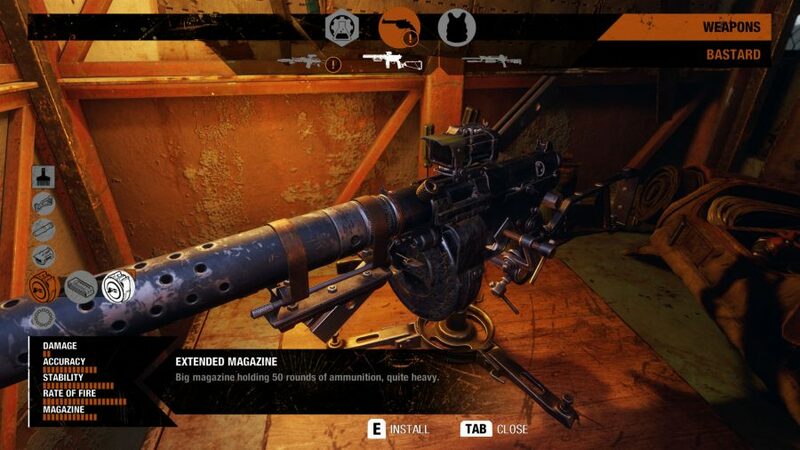 It also effectively becomes Wolfenstein for a bit because, well, why the hell not? 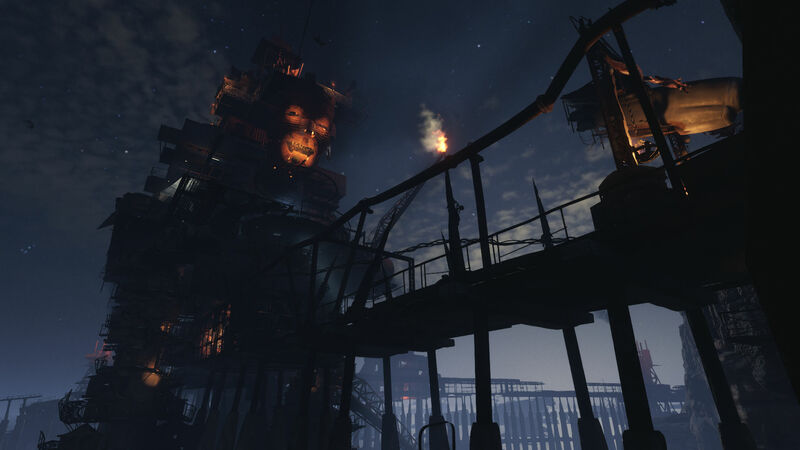 Where the Redux remasters of the previous games, 2033 and Last Light, featured separate survival and shooter modes, Exodus does both at once, and wonderfully. All of these elements are somehow knitted together into one of the most bizarre and thrilling train journeys I’ve ever experienced. It can be baffling but it’s irrepressibly brilliant. 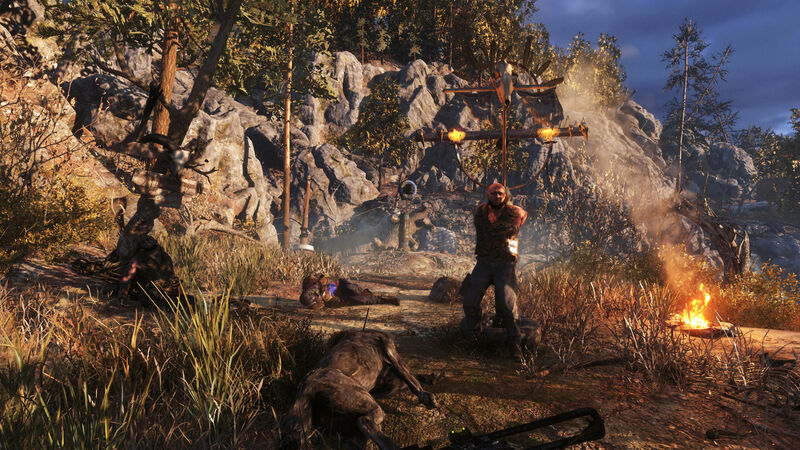 Let me start with what I thought Metro Exodus was, at least for the first five or so hours. 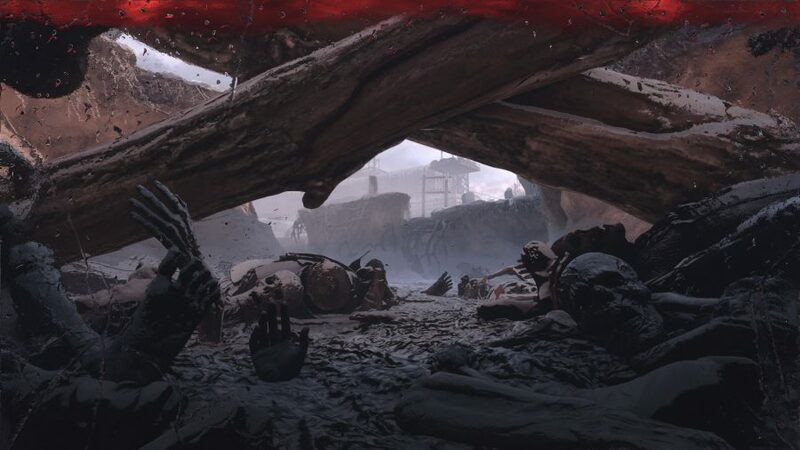 Metro games have fleetingly let us out into the light of the world above the intricate web of underground tunnels that dominate the series, but Exodus truly lets us loose. Set a decade after the canon or ‘good’ ending of the second game, you return to your role as Artyom as he joins his hardy compatriots to venture thousands of clicks from Moscow in search of a new home and other survivors. All this is made possible by the Aurora, the snaking metal beast at the heart of this epic tale. This train is your new abode for the duration of your trip, and the further you progress while bolstering your rough-and-tumble crew, the larger and more homely it becomes. Once you add living quarters and a dining area, you can play guitar, smoke, and eat with colleagues that start as NPCs but quickly become friends. 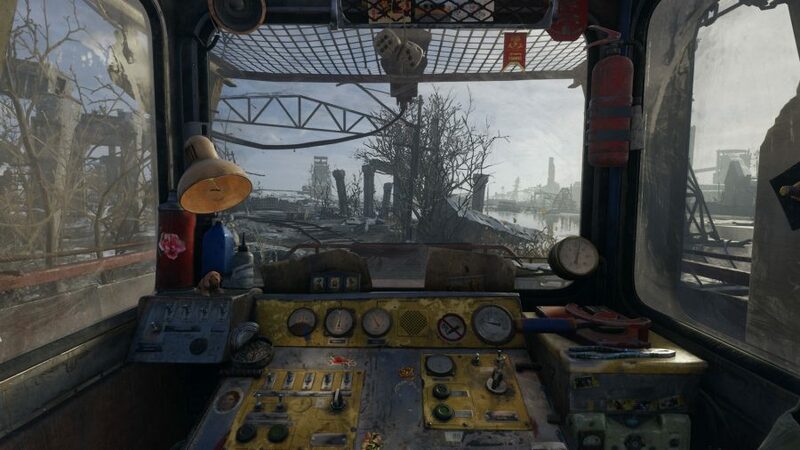 Amid the trauma of battle and the elation of skin-of-the-teeth survival, this cathartic mobile sanctuary is the place in which your fondest Metro memories will be formed. It’s a shame that, in these tender moments, Artyom remains mute. Your wife Anna will speak to you touchingly, and at length, but your ensuing silence is often jarring. 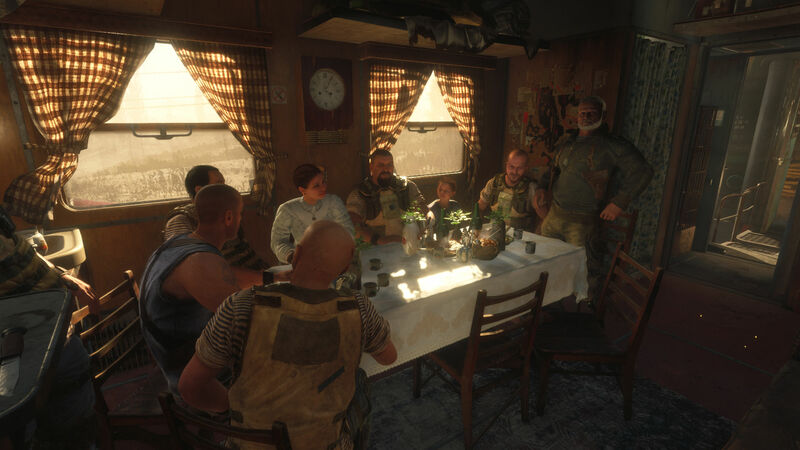 The rest of your expeditionary force have plenty to say, too – the Metro Exodus script is twice the length of Last Light, 2033, and all their DLC combined. Yet they’re forced to speak to you with irritating pauses in between, waiting patiently for the imagined response, before starting to talk to you again. Often I thought I had been given my cue to leave, only to politely whizz back around as the conversation continues afresh – good manners shouldn’t die along with civilisation, after all. This downtime is when you’ll be given the side missions that encourage you to explore the vast hubs that make up the world of Exodus. Both this process and the UI are pleasingly clean: rather than endure quest givers jumping up and down with neon question marks above their heads, you simply listen to what they have to say and your optional marker pops up on your map. 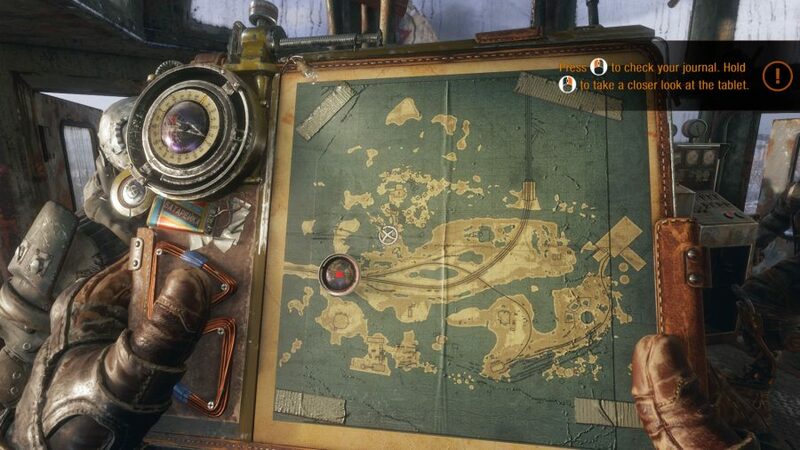 There are no waypoints, and much of what would have been the HUD is shown on your wrists. That this works is quite the achievement, considering everything you have to manage – keeping your flashlight charged, gas masks filtered and cleaned, and guns pumped and loaded. There are a few hubs to explore, and they’re huge. Metro Exodus isn’t an open-world game, per se, but the awesome size of the winter, spring, and summer environments often makes it feel like one. Each is wildly different in design and presentation, and most of the environment is available to you from the moment you arrive in them. You can explore points of interest mostly at your own pace, while main missions and side activities will ensure you see each hub’s highlights. Dotted across these chunky slices of Russia are safe houses that give you the chance to craft and replenish your supplies. I have felt few more powerful moments of relief than, when running from the werewolf-like Watchmen, I hastily stumble into a base and slam the door behind me – claws tearing the wood behind me to shreds. On another occasion, I claim a new home, only to wake to the snores of my enemies; they had retired to the same base for the night and hadn’t realised I’d done the same. You’ll want to carefully consider whether to approach your missions in the daytime, or smothered in the natural invisibility cloak of night. The latter is always best when infiltrating a human base, but beware – when the sun goes down, monsters come out. In the first hub I find that the large number of mutants means a stealth approach works best. So I set about sneaking my way around, teeth chattering as much as my Geiger counter, collecting sound-suppressing upgrades for my gear from the wintry wastes. All of that’s what I thought Metro Exodus was. I was wrong. Really, really wrong. 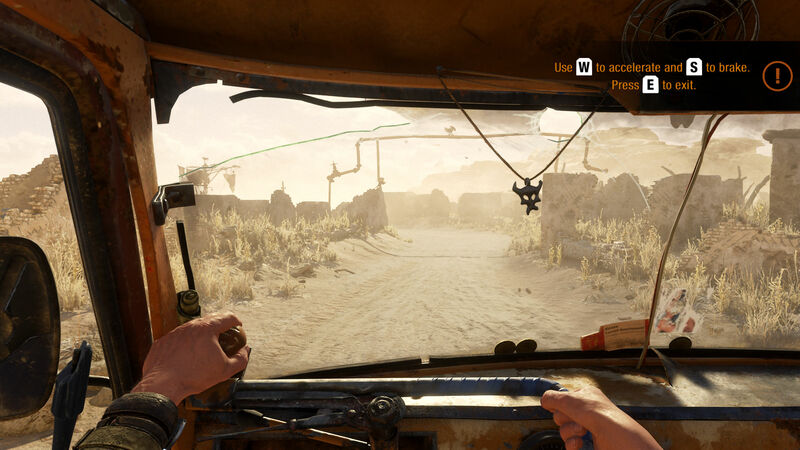 I won’t spoil any story details, but rarely have I experienced a more profound gameplay volte-face than during a middle-ish sequence of Metro Exodus – you’ll know the bit when you get to it. Up until that point I had hidden for hours, shrouded in darkness, inching forward at a snail’s pace, but then everything changes. Ammo is suddenly plentiful: molotov cocktails, an unusual sight previously unless crafted with crucial materials, are everywhere, torrefying my crazed foes in a sublime inferno. Now metal music pounds and I reach astonishing speeds, as if I’ve taken performance-enhancing drugs. 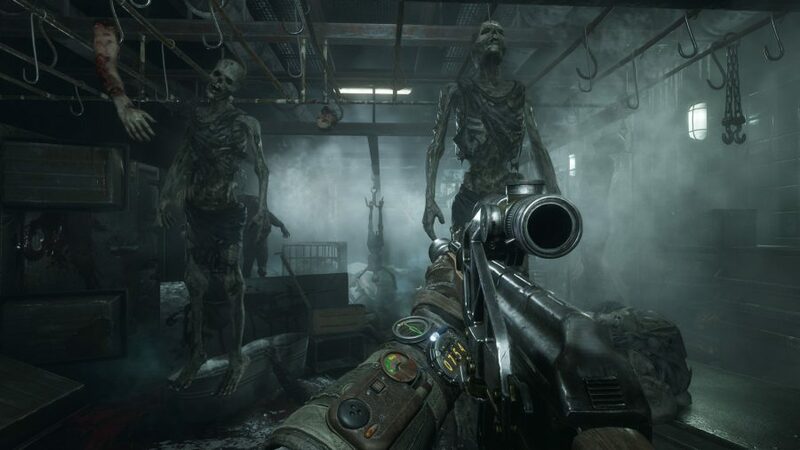 To say that the game lurches from the survival horror of Metro 2033 to the FPS focus of Last Light would be an understatement. The result is so disarming that I can’t help but laugh, despite the relentless darkness of the subject matter. 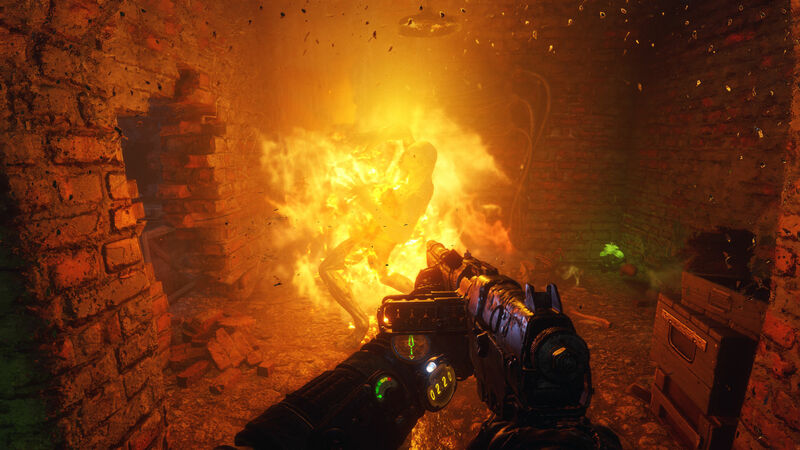 The contrast is clearly intended, if messily implemented in places, and the likes of Doom and Wolfenstein are evoked as part of this heady concoction. Metro doesn’t hit the heights of either, but this unexpected midpoint emphatically showcases 4A as an accomplished jack of many trades. 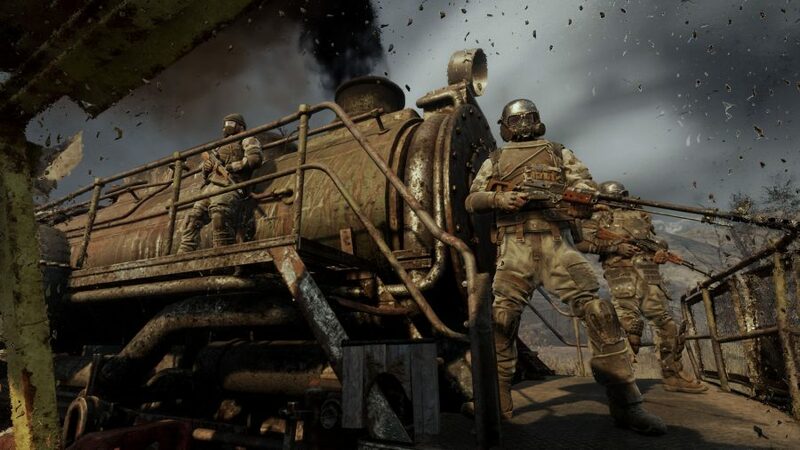 Along with a few other big hitters, publisher Koch Media chose to overlook Steam to sell Metro Exodus on the Epic Games store as a timed exclusive, provoking review bombing of the Metro series on Steam - where Exodus had already been available to pre-order. As quickly as it starts, following a short breather aboard the Aurora I’m back into survival horror again – but not in the same way as before. Deep in the underbelly of the desert Caspian map, I’m hunted by spiders with a fatal aversion to light. This allows for two further counts of thrilling gameplay inversion: not only am I forced to illuminate my environment – the exact opposite of how I would sneak before – I’m also the target as these hirsute arachnids scrabble about and leap at me from all sides. In these moments I’m traumatised with fright but powerful at the same time, and it’s the freshness of each encounter, each drastic gameplay shift, that emboldens these sensations. 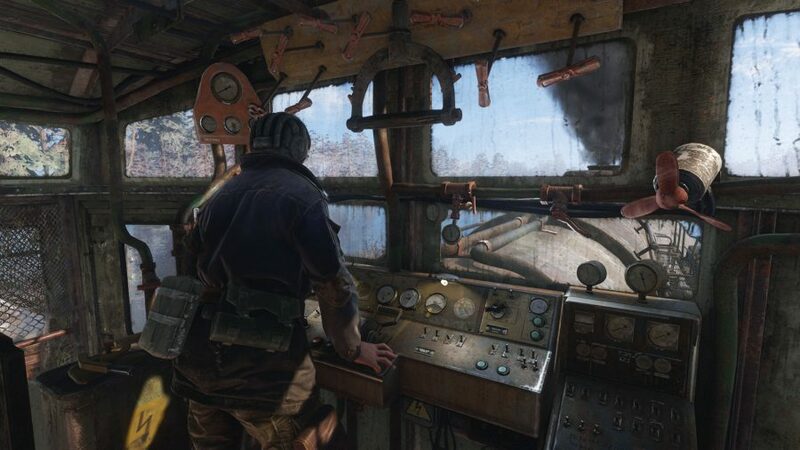 While plenty of the previous games’ clunkiness has alighted, Metro Exodus has its issues. Hit detection can be a bit ropey, and the writing and voice acting leaves something to be desired. And, despite the options available to tackle each situation, that freedom is too often restricted: jump scares can scupper even the best-laid stealth plans, for instance. Also, antagonists outside of that humble hunk of locomotive junk are poorly realised. Lacking in fruitful character development, your main enemies are faceless plot devices. It’s down to their underlings to inject nuance into your mission: cornered foes plead for mercy by explaining that they need to eat too, and slaves apologise for calling to inform your location to their masters in abject terror. That said, these problems are insignificant next to the braggadocio with which 4A flits effortlessly between genres. While all of its diverging parts might not be executed perfectly, Exodus is a game that’s more than the sum of them. 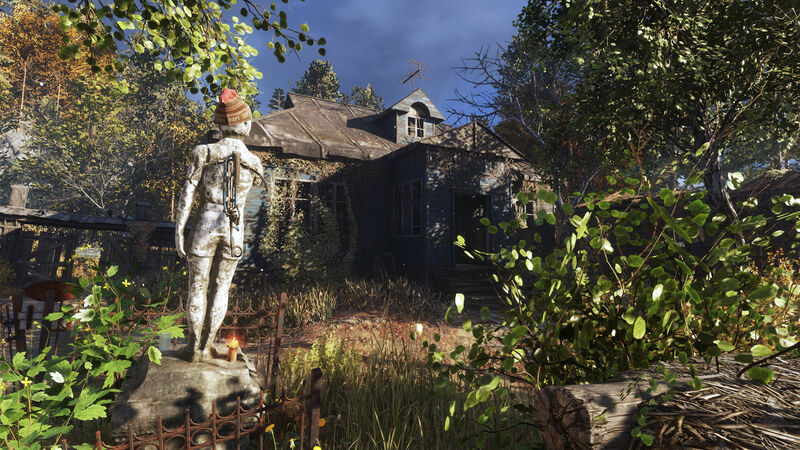 Tied together by an expertly honed stealth and survival core and a warm, tear-jerking family drama on the rusted carriages of the Aurora, Metro Exodus is a special achievement. Venturing into the intoxicating freedom of the outside world should be antithetical to the very concept of the Metro series. Instead, escaping from the murk of subterranean Russia makes Exodus comfortably better than 2033 and Last Light. You might have to suffer some hurried platform changes and the odd detour on the way, but ultimately this is a much more memorable journey than a predictable, convenient commute. Metro Exodus proves, in dazzling fashion, that the best route is always the scenic one.